Imagine.... you set up your trip way in advance, paid for it all and even shopped around for travel insurance. You didn't buy a plan right away, thinking you had plenty of time before you leave. But, when you get around to making the purchase to help protect your trip, you realize it's too late to qualify for coverage for your pre-exisitng medical condition! You can avoid this kind of situation by considering a key factor—timing when to buy travel insurance. Some coverages and features of our travel insurance plans include time sensitive factors that are important to understand in order to get the most out of what you pay for. At Generali, we try to make our plans easy to understand. In this post, we break down the best time to buy travel insurance and when it's possible to get a plan, including last minute travel insurance and details on when you should buy in order to qualify for coverage for pre-existing medical conditions and Trip Cancellation for Any Reason. The financially prudent thing to do is to buy insurance when you have money at risk. If you buy nonrefundable airfare, which most of us do, your money is at risk right away. 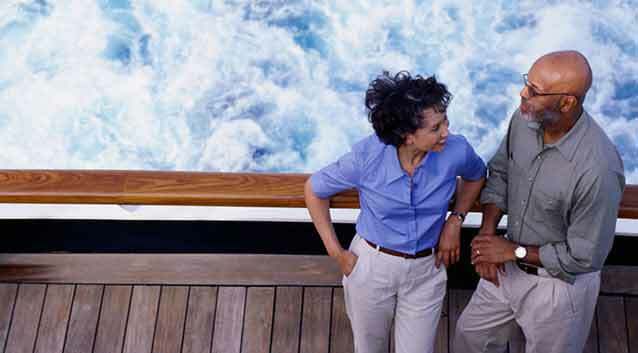 We suggest you buy a travel insurance plan when you make your first trip payment, like airfare or a cruise. That way you maximize your coverage period in case you need to cancel your trip. Later on, you can add coverage to the same plan for your hotel, tours and other pre-paid, non-refundable trip costs. It’s best to contact us to add coverage as soon as possible after you make new trip payments to be sure you have coverage for your full trip cost. When can you buy travel insurance? Generali Global Assistance travel insurance can be purchased up to 18 months before the trip departure date and up until the day prior to departure. Often times travelers will pay for a trip in installments, and they wonder when they can buy travel insurance, since they haven't paid fully yet. Rest assured—you can actually buy Generali travel insurance before you make any trip payments. When getting a quote, simply enter the total trip costs that you will be paying and you can modify the plan if those costs change, as long as you have not left on your trip or incurred any losses. Procrastinators are welcome here. Whlie we don't suggest waiting too long before insuring your trip, you can get a last minute travel insurance plan from Generali Global Assistance. The last chance you have to buy a plan from us is the day before you leave on your insured trip. Sorry—you won't be able to buy a plan at the airport as you're leaving or once you arrive at your destination. Trip Cancellation coverage starts the day after purchase at 12:01 a.m. We'll email your policy confirmation, so you'll have all of the info you need when you leave in case you need to contact us for assistance on your trip. One downside to buying last minute travel insurance is that certain coverages are dependant on when you buy your plan, and may not be available if you buy last minute. Read the next section for more details. Life is unpredictable, so it makes sense to be covered for as much time as possible before you start traveling. All sorts of things can throw a wrench into your travel plans after you've paid for the trip, forcing you to cancel. Why wait to insure your trip until the week before you leave? When travelers can’t go on their trip due to a covered reason, Trip Cancellation coverage pays for forfeited, pre-paid, non-refundable travel arrangements. Travelers can get maximum coverage for Trip Cancellation if they purchase their plan as soon as they make their first trip payment, like airfare. If you're interested in Trip Cancellation for Any Reason, an available add-on coverage with our Premium plan, don't wait to buy travel insurance. Your plan must be purchased within 24 hours of the initial deposit for your trip in order to qualify for the coverage. Learn more about Trip Cancellation for Any Reason and other requirements that must be met. Some travelers may need to look for plans that offer coverage for pre-existing medical conditions when they buy travel insurance, and it’s important to understand the purchase window to qualify for that feature. If you don't buy insurance during the right timeframe, you might not be covered for Trip Cancellation, Medical and Dental and other claims related to that pre-existing condition. Coverage for pre-existing conditions is included with our Premium plan, but coverage must be bought prior to or within 24 hours of the final trip payment, travelers must be medically able to travel at the time the coverage is purchased and they must insure 100% of their pre-paid trip costs that would be subject to cancellation penalties or restrictions. Coverage for pre-existing conditions isn’t available with all of our plans. An important advantage offered by Generali plans is that the exclusion for pre-existing conditions does not apply to non-traveling family members. “In other words, if a family member who is not traveling with you has a pre-existing medical condition, and you have to cancel your trip because of their illness, you can still be covered. Generali is one of the few travel insurance providers to offer this,” Chambers added. 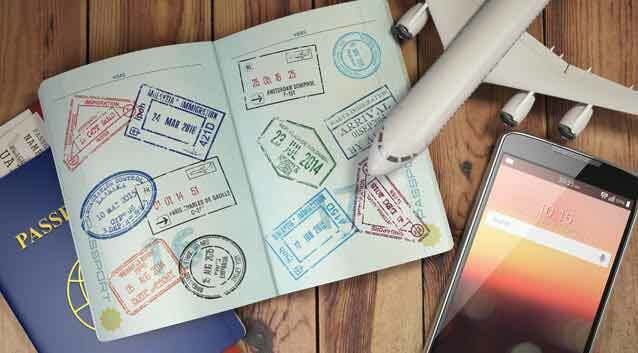 For travelers who have bought a plan but wish to cancel it and receive a full refund, they may do so within a designated number of days from the date of purchase as long as they haven’t left for their trip or filed a claim. This is referred to as a “free look” period and is available with all Generali Global Assistance travel insurance plans. While the timeframe for the free look period varies from state to state, it is generally 10 days from purchase. Travelers should always refer to their Description of Coverage/Insurance Policy documents to determine the number of free look period days available in their state of residence. We hope this post helps you better understand when to buy travel insurance, but you can always contact Generali to be sure you're on the right track. No surprise, the best time to buy travel insurance is usually as early as possible, just in case you need to cancel your trip. But, no matter when you decide to help protect your trip, travelers should remember to consider travel insurance from a reputable provider such as Generali Global Assistance. Now's the time to insure your trip!